1HWY1’s proposal draws praise but more tweaks and fine-tuning will be in store. SAN DIEGO — A waterfront development project likely to break the $1 billion seal, in terms of cost, received some wind in its sails on Nov. 7, as local residents and commissioners with the Port of San Diego provided valuable input on 1HWY1’s Embarcadero proposal. The ambitious project would bring several new elements to San Diego’s downtown waterfront, such as new docks and boat slips, reactivated space for commercial fishermen, an aquarium and other visitor-serving attractions. Port district staff and the developer did not provide updates on financial aspects of the project. Commissioners, instead, provided input on 1HWY1’s proposal, which was updated since the last time all parties involved public met on the large-scale development project. The developer was acknowledged for making progress on several issues raised earlier this year. 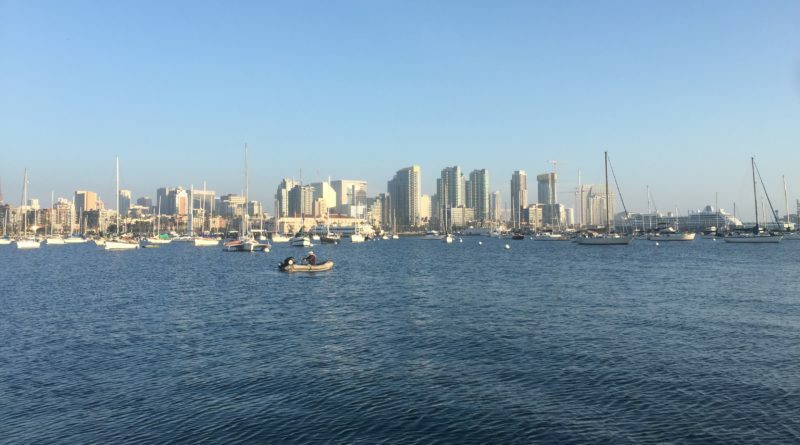 Commissioners consistently used words and phrases like “world-class” and “transformational” in describing the overall project, which would be built along San Diego’s downtown waterfront. Retail and restaurant uses will now occupy 276,000 square feet of space, down from 277,712 square feet in March, according to a port district staff report. The planned observation tower would occupy 80,000 square feet, down from the 88,331 square feet proposed earlier this year. Office space, however, is up, currently proposed to occupy 150,000 square feet, compared to 19,130 square feet in the original Request for Proposal and 144,987 square feet back in March. The total number of proposed hotel rooms increased significantly under the most recent proposal. The 1HWY1 project would now offer 1,933 rooms, up from 826 room in March and 1,075 rooms in the original Request for Proposal. 1HWY1 also proposes a 25,000-square-foot fish processing plant, 14,070 linear feet of docks (up from 13,200 linear feet in March) and 194 slips (down from 200 in March). Also proposed is a veteran’s park and museum. More than 70 percent of the project area, meanwhile, would be reserved for public space, according to 1HWY1’s updated proposal. Commissioner Marshall Merrifield and others were concerned about the proposed fish processing plant, which would likely exist near the U.S.S. Midway, kiss statue and tuna fish market. Parking density and pedestrian traffic is already high in the area, Merrifield said. Adding a fish processing plant to such a high volume area could, potentially, make matters worse. The developer responded more parking spaces could be added, addressing the commission’s concern. Commissioners also hoped the 1HWY1 team would collaborate with the San Diego Symphony on the Bayside Performance Park space. Both the 1HWY1 development and Symphony’s waterfront concert space are along the same stretch of downtown embarcadero, yet being executed separately. Commission Chair Rafael Castellanos said the developer is taking a huge risk in bringing the embarcadero project online, yet there were certain elements he and his colleagues expected to remain regardless of how the development evolves. Those elements include reserving 70 percent of the project area for public space, observation deck tower, public beach, an aquarium, revitalization of tuna harbor and fish market. Yehudi “Gaf” Gaffen, the leading executive on the 1HWY1 project, said $10 million has already been invested into the project. The project’s budget could reach $1.6 billion, according to current projections. Castellanos added the port should also initiate and independent analysis of the project’s finances and feasibility. The commission chair continued the Embarcadero project is quite massive and the port district needs to be deliberative in bringing the new development online. Port district staff and 1HWY1 will continue working together on a project description, which is due on Dec. 31. The developer will appear provide additional updates at a board meeting in early 2019, according to port district staff.